When announcing their $28 billion merger of equals in February, BB&T Corp. and SunTrust Banks said the deal was partly designed to allow the banks to become more competitive with larger rivals in technology. At more than $220 billion in assets, both are larger than $160 billion-asset Citizens Financial Group, one of the Philadelphia region’s largest banks. But like BB&T and SunTrust, it is significantly smaller than the nation’s Big 4 banks— JPMorgan Chase & Co., Bank of America Corp., Wells Fargo & Co. and Citigroup, each of which have assets near or exceeding $2 trillion and have invested heavily in developing consumer-facing technology such as artificial intelligence-powered chatbots and digital investing apps. Citizens Financial CEO Bruce Van Saun acknowledges the challenge but believes his bank has made a significant push to keep pace with its larger competitors by partnering with more than a dozen fintech companies in recent years. Since taking the reins and spinning the bank off from former owner Royal Bank of Scotland via an IPO five years ago, enhancing technology has been a prime focus for Van Saun. In the first quarter alone, Citizens entered into partnerships with four different fintechs, adding to the 10 existing relationships it established in recent years: Transactis (payments technology for treasury solutions), mortgage platforms Blend and Vast and corporate liquidity investment platform Cachematrix. The partnerships stretch across the bank’s business lines, such as SigFig, an investing platform for its wealth management clients and Fundation, which makes it easier for small-business customers to apply for loans. At the same time as it’s struck fintech deals, Providence, R.I.-based Citizens, the Philadelphia region’s fourth-largest deposit taker, has increased its in-house capabilities, such as building a new digital and online platform based in large part on the work of its own digital technology employees. It also launched Citizens Access, a nationwide online banking service focused on the collection of deposits that has reeled in $4.6 billion in deposits in its first year. Citizens has about 30 analysts and programmers working on its consumer digital platform, and it plans to hire 45 more this year. Brian Klock, an analyst from Keefee Bruyette & Woods, said tech platforms can most helps banks is on the consumer side. Van Saun said the advancement of AI had not led to a reduction in the number of employees. 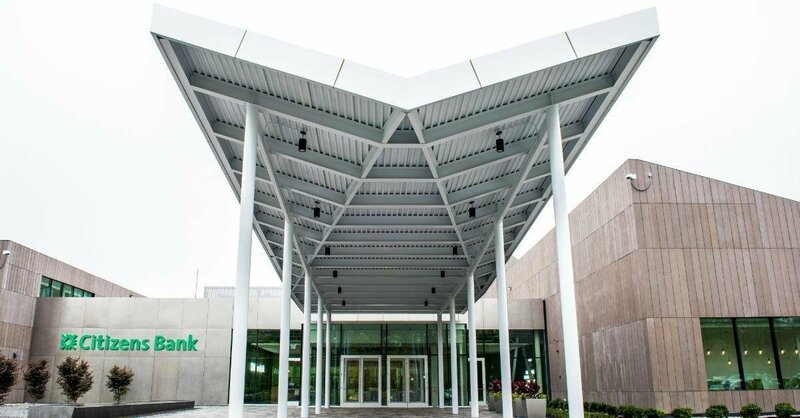 Citizens Financial employs roughly the same number of people it did five years ago — about 18,000 — but has changed about 3,000 positions from old roles that no longer fit to new ones that are largely customer facing. While the newer, tech-centric employees are largely paid more than those who departed, Van Saun said the math still works in Citizens’ favor because of improvements in productivity. While those performance expectations may prove true – the first results of OnDeck’s product launch won’t be seen until 2020 – Breslow’s message seemed to conflict with OnDeck’s image as a public company. Rather than casting itself as a disruptor these days, OnDeck emphasizes the ways that its business is melding with mainstream commerce and finance. Consider that the New York-based company, which saw its year-over-year revenues rise 14% to $398.4 million in 2018, is collaborating with Visa and Ingo Money to launch an “Instant Funding” line-of-credit that funnels cash “in seconds” to business customers via their debit cards. With the acquisition of Evolocity Financial Group, it is also expanding its commercial lending business in Canada, a move that follows its foray into Australia where, the company reports, loan-origination grew by 80% in 2018. Perhaps most significant was the 2018 deal that OnDeck inked with PNC Bank, the sixth-largest financial institution in the U.S. with $370.5 billion in assets. 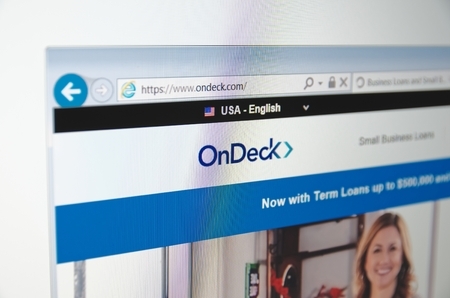 Under the agreement, the Pittsburgh-based bank will utilize OnDeck’s digital platform for its small business lending programs. 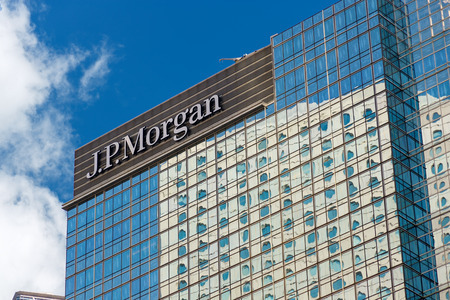 Coming on top of a similar arrangement with megabank J.P. Morgan Chase, the country’s largest with $2.2 trillion in assets, the PNC deal “suggests a further validation of OnDeck’s underlying technology and innovation,” asserts Wall Street analyst Eric Wasserstrom, who follows specialty finance for investment bank UBS. “It also reflects the fact that doing a partnership is a better business model for the big banks than building out their own platforms,” he says. “Both banks (PNC and J.P. Morgan) have chosen the middle ground: instead of building out their own technology or buying a fintech company, they’ll rent. The alliance between OnDeck and old-line financial institutions is one more sign, if one more sign were needed, that commercial fintech lenders are increasingly blending into the established financial ecosystem. Not so long ago companies like OnDeck, Kabbage, PayPal, Square, Fundation, Lending Club, and Credibly were viewed by traditional commercial banks and Wall Street as upstart arrivistes. Some may still bear the reputation as disruptors as they continue using their technological prowess to carve out niche funding areas that banks often neglect or disdain. Yet many fintechs are forming alliances with the same financial institutions they once challenged, helping revitalize them with new product offerings. Other financial technology companies have bulked up in size and are becoming indistinguishable from any major corporation. Big Fintechs are securitizing their loans with global investment banks, accessing capital from mainline financial institutions like J.P. Morgan, Goldman Sachs and Wells Fargo, and finding additional ways — including becoming publicly listed on the stock exchanges – to tap into the equity and debt markets. 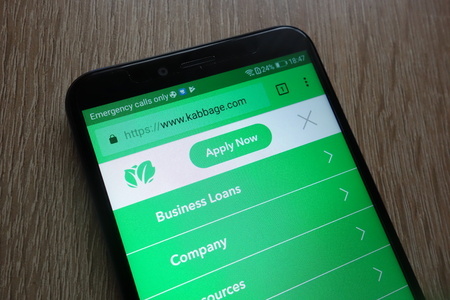 One example of the maturation process: through mid-2018, Atlanta-based Kabbage has securitized $1.5 billion in two bond issuances, 30% of its $5 billion in small business loan originations since 2008. In addition, fintechs have been raising their industry’s profile with legislators and regulators in both state and federal government, as well as with customers and the public through such trade associations as the Internet Lending Platform Association and the U.S. Chamber of Commerce. Both individually and through the trade groups, these companies are building goodwill by supporting truth-in-lending laws in California and elsewhere, promoting best practices and codes of conduct, and engaging in corporate philanthropy. Rather than challenging the established order, S&P Global Market Intelligence recently noted in a 2018 report, this cohort of Big Fintech is increasingly burrowing into it. This can especially be seen in the alliances between fintech commercial lenders and banks. It’s a trend that will only accelerate. “We expect more digital lenders to incorporate this funding model into their businesses via white-label or branded services to banking institutions,” the S&P report adds. 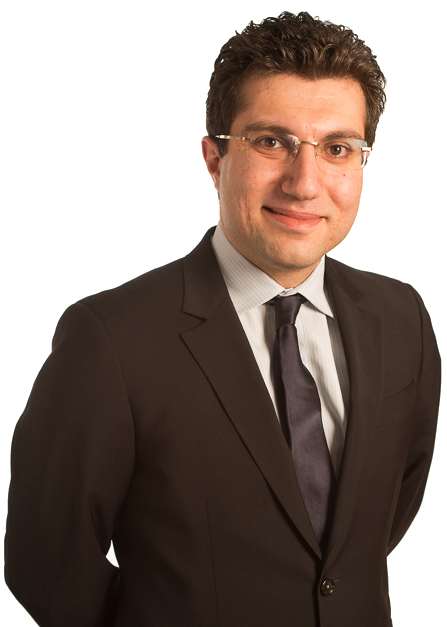 Forming partnerships with banks and diversifying into new product areas is not a luxury but a necessity for Fundation, says Sam Graziano, chief executive at the Reston (Va.)-based platform. “You can’t be a one-trick pony,” he says, promising more product launches this year. Fundation has been steadily making a name for itself by collaborating with independent and regional banks that utilize its platform to make small business loans under $150,000. In January, the company announced formation of a partnership with Bank of California in which the West Coast bank will use Fundation’s platform to offer a digital line of credit for small businesses on its website. Fundation lists as many as 20 banks as partners, including most prominently a pair of tech-savvy financial institutions — Citizens Bank in Providence, R.I. and Provident Bank in Iselin, N.J. — which have been featured in the trade press for their enthusiastic embrace of Fundation. John Kamin, executive vice president at $9.8 billion Provident reports that the bank’s “competency” is making commercial loans in the “millions of dollars” and that it had generally shunned making loans as meager as $150,000, never mind smaller ones. But using Fundation’s platform, which automates and streamlines the loan-approval process, the bank can lend cheaply and quickly to entrepreneurs. “We’re able to do it in a matter of days, not weeks,” he marvels. Graziano reports, however, that Fundation will be securitizing portions of its loan portfolio by yearend 2020. PayPal Working Capital, a division of PayPal Holdings based in San Jose, and Square Inc. of San Francisco, are two Big Fintechs that branched into commercial lending from the payments side of fintech. PayPal began making small business loans in 2013 while Square got into the game in 2014. In just the last half-decade, both companies have leveraged their technological expertise, massive data collections, data-mining skills, and catbird-seat positions in the marketplace to burst on the scene as powerhouse small business lenders. With somewhat similar business models, the pair have also surfaced as head-to-head competitors, their stock prices and rivalry drawing regular commentary from investors, analysts and journalists. Both have direct access to millions of potential customers. Both have the ability to use “machine learning” to reckon the creditworthiness of business borrowers. Both use algorithms to decide the size and terms of a loan. Loan approval — or denials — are largely based on a customer’s sales and payments history. Money can appear, sometimes almost magically in minutes, in a borrower’s bank account, debit card or e-wallet. PayPal and Square Capital also deduct repayments directly from a borrower’s credit or debit card sales in “financing structures similar to merchant cash advances,” notes S&P. PayPal, which reports having 267 million global accounts, was adroitly positioned when it commenced making small business loans in 2013. But what has really given the Big Fintech a boost, notes Levi King, chief executive and co-founder at Utah-based Nav — an online, credit-data aggregator and financial matchmaker for small businesses – was PayPal’s 2017 acquisition of Swift Financial. The deal not only added 20,000 new business borrowers to its 120,000, reported TechCrunch, but provided PayPal with more sophisticated tools to evaluate borrowers and refine the size and terms of its loans. While PayPal used the Swift acquisition to spur growth and build market share, its rival Square — which is best known for its point-of-sale terminals, its smartphone “Cash App,” and its Square Card — has employed a different strategy. By selling off loans to third-party institutional investors, who snap them up on what Square calls a “forward-flow basis,” the Big Fintech barged into small business lending with the subtlety of a freight train. In just four years, Square originated 650,000 loans worth $4.0 billion, a stunning rise from the modest base of $13.6 million in 2014. Square’s third-party funding model, moreover, demonstrates the benefits afforded from being deeply immersed in the financial ecosystem. Off-loading the loans “significantly increases the speed with which we can scale services and allows us to mitigate our balance sheet and liquidity risk,” the company reported in its most recent 10K filing. Square does not publicly disclose the entire roster of its third-party investors. But Kim Sampson, a media relations manager at Square, told deBanked that the Canada Pension Plan Investment Board — “a global investment manager with more than CA$300 billion in assets under management and a focus on sustained, long term returns” – is one important loan-purchaser. Square also offers loans on its “partnership platform” to businesses for whom it does not process payments. And late last year the company introduced an updated version of an old-fashioned department store loan. Known as “Square Installments,” the program allows a merchant to offer customers a monthly payment plan for big-ticket purchases costing between $250 and $10,000. Meanwhile, as PayPal and Square stake out territory in the marketplace, their rivalry poses a formidable challenge to other competitors. Both are well capitalized and risk-averse. 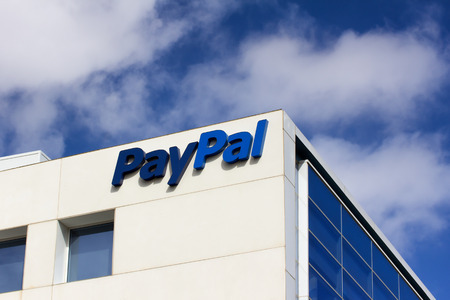 PayPal, which reported $4.23 billion in revenues in 2018, a 13% increase over the previous year, reports sitting on $3.8 billion in retained earnings. Square, whose 2018 revenues were up 51 percent to $3.3 billion, reported that — despite losses — it held cash and liquid investments of $1.638 billion at the end of December. King, the Nav executive, observes that Able, Dealstruck, and Bond Street – three once-promising and innovative fintechs that focused on small business lending – were derailed when they could not overcome the double-whammy of high acquisition costs and pricey capital. NEW YORK–(BUSINESS WIRE)–Fundation, a leading digitally-enabled lender and credit solutions provider, today announced that it has secured a $120 million asset backed credit facility from SunTrust Bank. Waterfall Asset Management was included in the facility as a Class B lender. This additional credit facility further enhances Fundation’s capacity to extend credit to small businesses across the United States. WASHINGTON, March 27, 2018 /PRNewswire/ — Bank Director and Promontory Interfinancial Network have announced the finalists for the 2018 Best of FinXTech Awards, which recognize institutions that exemplify how collaborative efforts can lead to innovative solutions and growth in the banking industry. This year’s Award categories included Startup Innovation, Innovative Solution of the Year and Best of FinXTech Partnership. Seacoast Banking Corp. + SmartBiz Loans: Stuart, Florida-based Seacoast partnered with online lending marketplace and platform SmartBiz, of San Francisco, to take the bank’s Small Business Administration loan business nationwide. Radius Bank + Alloy: Radius Bank partnered with FinTech Alloy to help transform into a digital first bank. By using Alloy’s smart identity platform and API, Radius can deliver a superior experience to their new customers signing up online – offering an instant decision in 98% of the cases, whilst reducing onboarding fraud by 50%. Pinnacle Financial Partners + Built: Pinnacle partnered with Built, a fintech firm focused on construction lending, to streamline the bank’s construction loan management process. Both companies are based in Nashville, Tennessee. U.S. Bancorp + SpringFour: Seeking to help mortgage customers that were falling behind on their loan payments, U.S. Bancorp integrated Chicago-based SpringFour into the bank’s mortgage servicing operations and website. TCF Financial Corp. + D3 Banking Technology: As part of TCF’s digital transformation, the Wayzata, Minnesota-based bank leveraged D3’s digital banking platform to improve the customer experience, including a re-designed and intuitive mobile banking app; easier ways to deposit checks, pay bills and transfer money; and advanced budgeting and savings tools. Since 1991, Bank Director has served as a leading information resource for the directors and officers of financial institutions. Through its monthly Bank Director magazine, executive-level research, annual conferences, and its website, BankDirector.com, Bank Director reaches the leaders of the institutions that comprise America’s banking industry. Bank Director is headquartered in Brentwood, Tennessee. More information can be found at BankDirector.com. 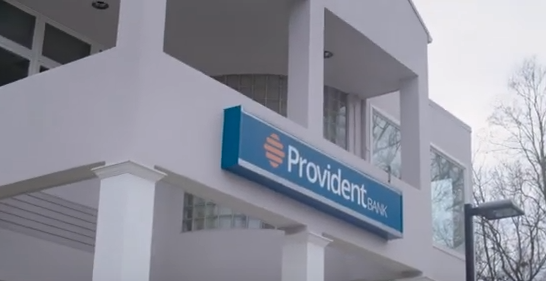 Chosen by more than 3,000 financial institutions nationwide, Promontory Interfinancial Network is the leading provider of FDIC-insured deposit placement services. Banks of all sizes can use the company’s balance-sheet management solutions to build multi-million-dollar relationships, reduce collateral requirements, purchase funding, manage liquidity, and buy or sell loans.